The floods happened last spring, but business owners in the Boundary City is finally getting a much-needed boost to restoring their respective businesses following an announcement Monday by the Provincial Government. Mike Farnworth, Minister of Public Safety and Solicitor General said in a media release businesses in the Regional District of Kootenay Boundary (RDKB) affected by flooding this past spring, will be able to apply for part of $2.9 million in provincial funding through a small business financial grant. "Many B.C. communities are still recovering from the floods that hit this season, particularly in areas such as Grand Forks where they saw catastrophic flooding," said Farnworth. "Throughout this process, we've supported residents through programs such as the Household Emergency Assistance Program. Now, we're extending a helping hand to small businesses so they can be a strong part of helping B.C. communities find a new path forward." Farnworth said funding will be distributed by the Red Cross for small businesses in the RDKB affected by flooding. In addition to the initial support of $1,500, eligible businesses in this phase of the program may qualify up to $18,500, with the potential for further assistance for business recovery, emergency assistance and other key areas. flood hazard assessment, mitigation and adaptation. 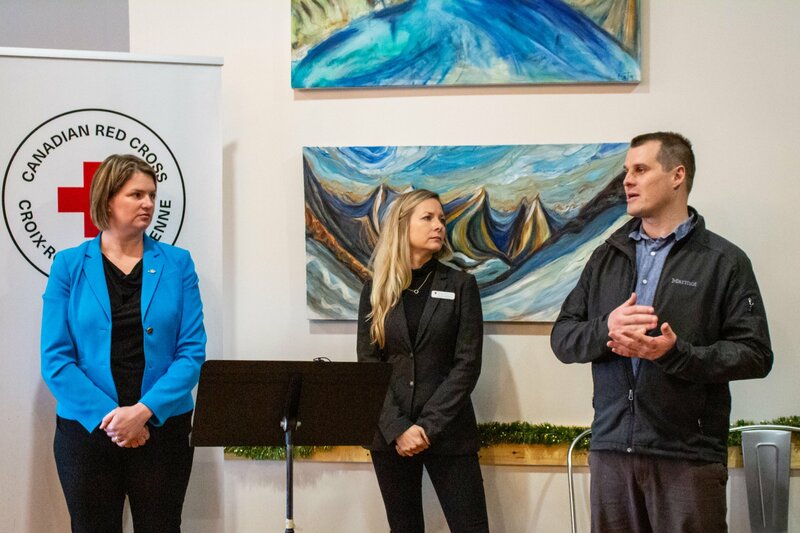 "Recovery is a long process that involves meeting immediate needs, strengthening the community once again and then mitigating risk in the future," said Jennifer Rice, Parliamentary Secretary for Emergency Preparedness. "Our government stands with the community of Grand Forks, and we will continue to work with all levels of government to help this community find its way forward." Eligible businesses include small businesses and not-for-profit organizations located in areas of the RDKB that have been under evacuation order or alert. The Red Cross will provide more information on how to apply in the coming weeks.